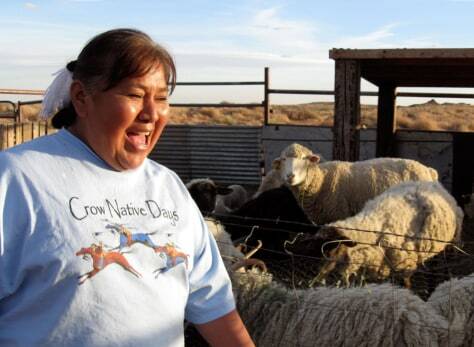 Delores Claw, 51, lives on the reservation in Tonalea, Ariz. Since losing her job, her family has had to butcher 10 of their lambs. She said land and kinship are the greatest survival tools. "They always say if you have livestock, you're rich," she said.